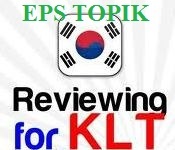 Philippine Overseas Employment Administration in cooperation with the Human Resource Development Service of Korea will be launching the EPS-TOPIK (Employment Permit System – Test of Proficiency in Korean) Test as scheduled to be held March 18, 2012. The Employment Permit System allows employers who have failed to hire local workforce, to legally employ foreign workers provided they pass the examination. (the Korean government or public institution administer the management of the foreign workers). Interested applicants and parties may proceed to the application and filing date as slated to happen February 6-9, 2012. The office of DOLE (Department of Labor and Employment) and POEA (Philippine Overseas Employment Administration) will be announcing it. Implemented at each country considering the number of valid rosters and anticipated roster-exhausting time. Specific schedule and details are announced in advance. Only 2 websites will be announcing the EPS TOPIK 2012 exam result passers and they are – http://eps.hrdkorea.or.kr, http://epstopik.hrdkorea.or.kr. The passing criteria is determined to be included in the list are those candidates who scored over 80 points (full marks 200). The fixed designated number of candidates who will pass will be determined in order of highest score. Valid term of EPS-TOPIK : 2 years from announcement date of Test result so be sure to get use of it as soon as possible or you will have to take it again / renew.